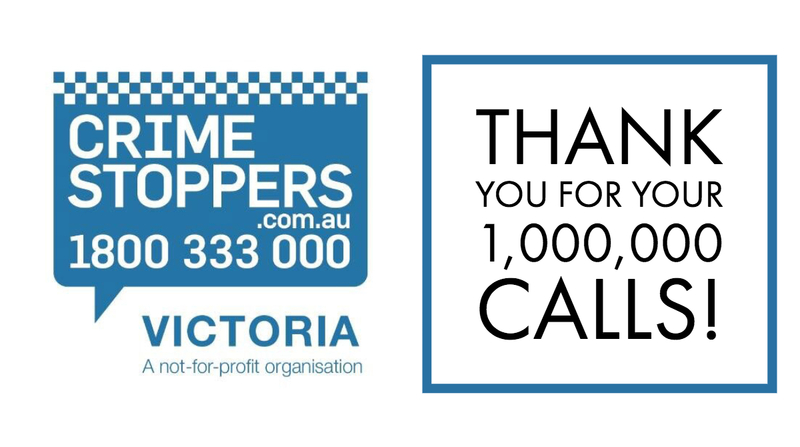 With over three decades of crime-fighting success, Crime Stoppers Victoria are thrilled to announce that we have reached one million calls. Working hand-in-hand with local communities, Crime Stoppers Victoria have played an integral role in bridging the gap between Victoria police and the public. Since 1987 over 22,989 arrests have been made, over 89,088 charges laid and over $237,117,408 in property recovered. Every confidential call to Crime Stoppers Victoria has the potential to save lives and takes a step toward solving crimes. In celebration of one million calls, Crime Stoppers Victoria would like to thank the Victorian public, the Victoria Police, Ambassador George Halvagis and Crime Stoppers’ media partners for their ongoing support. 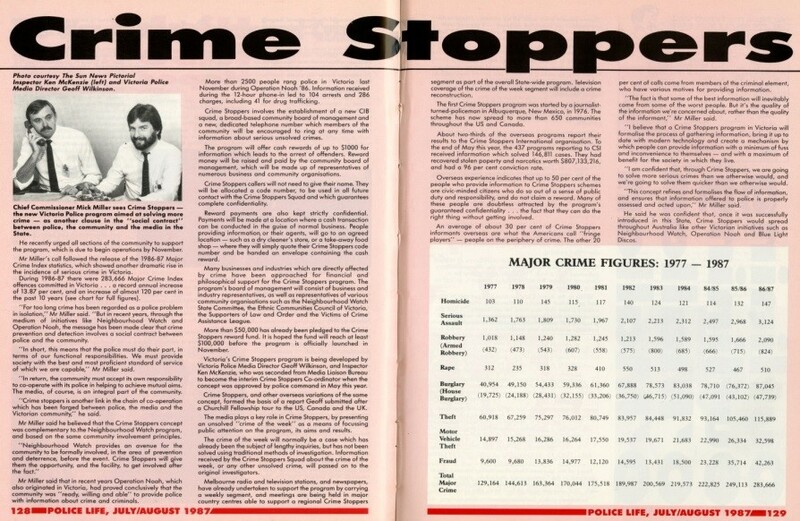 Looking to the future, Crime Stoppers Victoria CEO Erika Owens is confident that with the public’s help, Crime Stoppers will continue to make Victoria a safer place to live. In the last year alone, calls to Crime Stoppers Victoria have led to over 1,200 arrests and 5,657 charges. Help us keep your family and community safe. Making a report to Crime Stoppers is completely confidential and as simple as calling 1800 333 000 or visiting our website at www.crimestoppersvic.com.au.